• Have you ever wished you’d learned to play a musical instrument? • Perhaps you gave up when you left school and regretted it ever since? You’ve come to the right place! 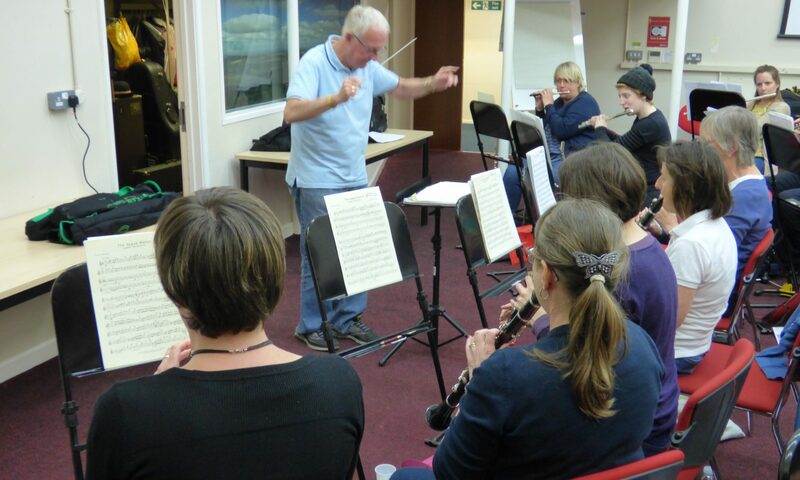 The Band of the Avon Fire and Rescue Service is looking for new members of all ages – absolute beginners and returners – to join the new Beginners’ band, starting in January 2019. You don’t have to be a firefighter and you don’t even need to have your own instrument (we have a limited number to offer on a first-come-first-served basis). We teach brass (e.g. trumpet, euphonium, trombone, tuba) and woodwind instruments (e.g. oboe, flute, clarinet, alto, tenor & baritone saxophone), as well as double bass and electric bass guitar. The cost per term is £30. The Beginners Band will meet on Wednesday evenings from 7.30 pm at the Management Development Centre of the Avon Fire & Rescue Service, Lansdown, which is to the north of Bath, just beyond the racecourse (you do need a car to get there, but there’s plenty of parking). The rehearsal will last for one hour, at which point you can either go home, or stay and listen to Brass, Wind and Fire (our intermediate band to which you will graduate), or rehearse with Brass Wind and Fire until 9.30 pm.